The book of the week was How To Make Millions With Your Ideas by Dan S. Kennedy. This book made some good points, but overall it wasn't my taste. I think a lot of the ideas in this book are a little pie-in-the-sky and I like to focus on basic business and leadership principles that do not require luck, just skill. The one idea this book had right was to Think Big! It is important to always be thinking bigger and better. I had a friend a while back tell me about a method to increase happiness. She said that even if you are extremely happy about everything in your life, don't think that you are at the pinnacle of your happiness. Try to constantly bring up your happiness scale, so what was the "happiest day of your life" one day, will eventually be "just a regular day." The morale I took from what she told me was not to settle. There are a lot of areas of life where people notice that they are settling because there are obvious physical signs. However, when you are focusing on your happiness or your entrepreneurial spirit you don't have physical signs of settling. You have to be conscious of everything going on and always lean toward thinking big and pushing yourself to the next level. In this book Kennedy brings up a lot of ideas to make lots of money. Everything from mail-order businesses to 7-Up is featured. But the main focus of all the people's stories is that they thought BIG and never settled. There isn't a lot else to say. This book was alright. It has a lot of interesting stories- lots and lots. If you have any questions on the book don't hesitate to ask. I would be more than happy to help anyone that wants it. 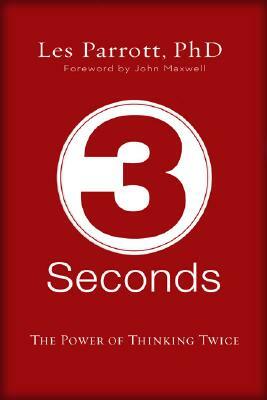 The book of the week was 3 Seconds by Les Parrott. Parrott does a good job explaining the importance of thinking twice in this book. Generally, people's first reaction is to keep the status quo, it's good to take a few extra seconds and conjure a success driven answer to any question you might have in life. This book reminds me of another book given to me a few years back. The book was Keys to the Vault by Keith Cunningham, my friend met Cunningham and had the book signed for me. Cunningham wrote, among other things "Whatever it takes." I say this because it's been somewhat the motto of my life since I received the book years ago, and the book I read this week has three words at the end of the first chapter (as well as several other places in the book).. "whatever it takes." In life, it's easy to say "maybe next time" or "there's nothing I can do about it" or I've done what's required and that's enough or, last but not least, "whatever." This books main goal is to change the attitude of "whatever" into "whatever it takes." The first situation deals with Empowering Yourself... Often you will hear people say, "There is nothing I can do about it"... That is just a defeatist attitude. What you should be saying in any self-doubting situation is "I can't do everything, but I can do something." Say it to yourself, or say it to others... but then take some action! Do "something" and do whatever it is and then go on to the next thing. Ask for help if you need it, but empower yourself to take action instead of mope around. The second situation is Embracing a Good Challenge... Your first impulse when you have something challenging ahead of you is "It's too difficult to even attempt." That is just weak. I do not appreciate giving up, there is nothing admirable about giving up in a tough situation. With time and the right tools anything can be done. If you see yourself in a difficult situation you should say to yourself "I love a good challenge." Then tackle it head on! Parrott's third situation is Fueling Your Passion... There are a lot of people in the world that just "Do what happens to come their way." It most often happens right out of high school or college. They take the first job that they are accepted into or do what their family pressures them to do. It's very upsetting for me when I see someone doing something that doesn't make them happy. My passion is to lead people and help people make a best of who they are, so clearly this is one area that really hits me deep. I talk to friends quite often about their futures and what they should do... It's a very very difficult question to answer for anyone but yourself. You have to take a few seconds when you are faced with a life decision and say "I'll do what I'm designed to do." Every single person has a God-given passion in life and you need to teach yourself to go for it. It might be being a loving mother, joining the Peace Corps, writing poems, or being a stock-trader. But do "whatever it takes" to get there and fuel that passion. The fourth situation is Owning Your Piece of the Pie... The popular phrase is "It's not my problem, somebody else is to blame." I'm not sure why this is the gut reaction for people. I suppose it comes down to pride, but regardless, pushing around blame solves nothing. I can't think of a single situation in life where I would be satisfied if I was upset with a situation and everyone I talked to kept passing the blame to someone else. Anyone that has grown up in Missouri, like myself, knows of Harry Truman's line "The buck stops here." It's a really great line. Don't pass around the blame. The best organizations in the world empower even the lowest person on the totem-pole to make the decisions to make the customer happy. Generally, the line that makes everything better and costs little-to-nothing is "I'm sorry." The fifth situation you may face deals with Walking the Extra Mile... The average person says "I've done what's required, and that's that." I clearly don't agree with this mentality. To be the best you need to do what no one has done. If you do the minimum, that's all you'll be. Take every task you are given and do better than anyone ever has with that. Be proud to put your name behind a task. The best of the best are the ones that say "I'll go above and beyond the mere minimum." The sixth situation is Quit Stewing and Start Doing... I think a lot of people have these big worldly goals, but when asked about them they say "Someday, I'm going to do that." What they need is a fire to be lit under them. And no one can do that better than themselves. This book makes reference to the very first book I wrote about on this website... The Magic of Thinking Big by David Schwartz (a genius book, which helped inspire the goal of this website)... A 28 year-old man named Lou Holtz was given that book in 1966 while he was out of a job and had no money in the bank. In the book it says you should write down all the goals you have in your life and Holtz did just that, making a list of 107 goals. Some of these goals seemed completely unachievable like dinner at the White House and Appearing on the Tonight Show... Well Holtz accomplished 81 out of the 107 goals on his list. He has a picture of him eating with Ronald Reagan at the White House and he was on TV with Johnny Carson. I think the single most important part of setting a goal and getting it done is to write it down and look at it every day. Do "whatever it takes" to accomplish your goals and say to yourself" I'm diving in... starting today!" It takes a mere 3 seconds to change a "whatever" lifestyle into a "whatever it takes" lifestyle. 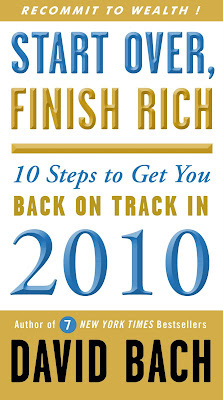 This book is a great tool to help you make that life change. 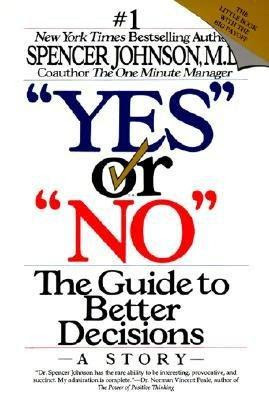 Each chapter has a great section dedicated to training you to change your first impulse. I recommend this book to anyone. It's a great one and it's easy to read. If you have any questions on the book don't hesitate to ask. I would be more than happy to help anyone that wants it. Create a Snowball method to pay off your debt. Once you pay off one credit card, pay the next, and next... until they are all paid off. Start at square one and then only use credit cards if you have the ability to pay them off at the end of the month. Build up 3-6 months of emergency living in a savings account. No risk and very liquid. Make all your finances operate automatically. Have you check direct deposited, have all expenses pulled from checking and then have savings automatically deposited. If you have it set up right, you should be able to spend less than an hour a month on finances... leaving you time for more fun things! One thing I really liked about Bach's book is that he encourages the idea of real estate investing. He likes the idea of having one mortgage on your personal home and then a second mortgage on a home to rent out. What a novel idea! There aren't a ton of books on real estate investing because it's super complicated, but because everyone wants to share their rags to riches story. This was good. I really liked it. 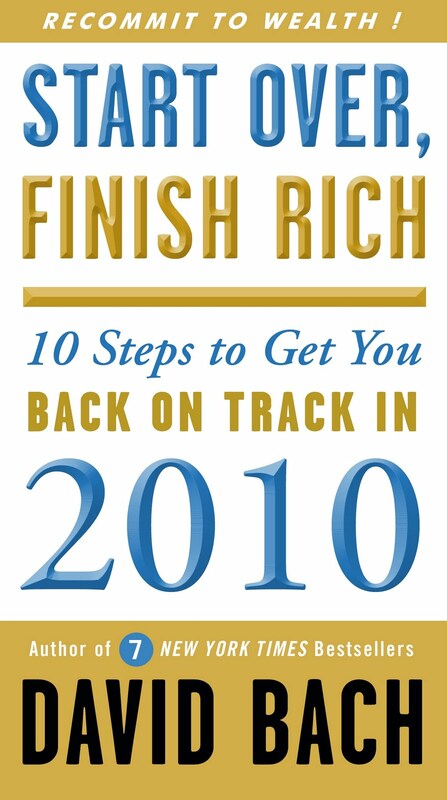 I would encourage anyone to add this to their library and use the ideas to increase their financial intelligence. If you have any questions on the book don't hesitate to ask. I would be more than happy to help anyone that wants it. The book of the week was Outstanding! by John G. Miller. The book was... well... outstanding! I am a really big fan. 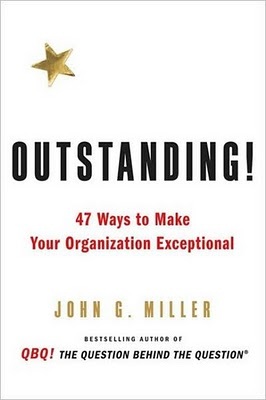 The book is 47 ways to make your organization exceptional and I think that every single idea in this book is huge when it comes to making your organization run more effectively. Be Fast- It is the first chapter in the book and it's one that is very easy to work through within an organization. Look at what you do and where you can coach to shave hours, minutes, or seconds. The faster you are at each thing within an organization the happier the customers will be and they are a pretty important part within an organization. See Everyone as a Customer- The book talks about 360 degree customer service. You have customers that directly give you money in exchange for a service or product (these are external customers) and you also have customers that are working for you within the organization (internal customers). A customer is really anyone that has an expectation of you. If you internal customers as being just as important as external then everything runs much smoother. So be considerate and help your contractors, suppliers, office staff, etc. and you'll see tremendous results. Hire Character- If you are focused on anything within an organization while you do your hiring it should be character. Imagine you have two college graduates- one spends her time volunteering at the hospital 3 nights a week and manages to get pretty good grades and the other is a straight A student. Choose the one that exhibits the character. That will be the person that takes ownership over their position, comes in early, stays late, and thinks of ways to improve on days off. An organization filled with individuals with character is an outstanding organization. Never Forget Who Pays the Bills- It's all about the customer. I'm sure everyone has experienced those days when they see an employee that acts like you're more of an inconvenience than the person that pays their paychecks. I like to go into organizations that have employees that smile at me, have genuine concern for how my day is, and would bend over backwards to make my day even better. Coach, Moment to Moment- As a manager, it is your duty to coach your team. And more than that, the coaching should be constant. Never let your teams become stagnant or "good enough." Everyone can do better and hone the skills they have. If that statement wasn't true NFL players would just play games and not spend so much time practicing. Be the coach for your team and help them reach goals, and when they reach that goal help them reach the next one. Train- This is the most valuable expense a company can assume. Training individuals to be effective is the only way to make your organization effective. Too many organizations send their new employees into the gauntlet with nothing more than a handbook and a slap on the back. Moment to moment coaching is more important in the beginning stages of someone's employment than any other time in someone’s career. Be there for them and teach them. Encourage Each Other- It is very valuable for individuals within an organization to be there for each other. It is wonderful to hear a "you can do it" from a colleague. It plays into the morale within an organization and morale directly leads to effectiveness. Help your organization encourage each other by setting the standard. If you encourage someone, they are more likely to encourage someone else. 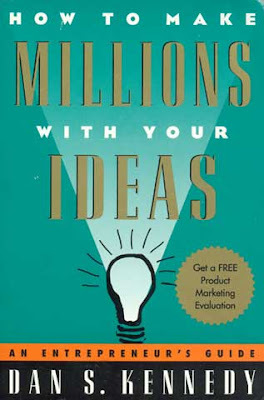 There are so many great ideas in this book. If you are a manager within an organization I highly recommend this book. I think of it a lot like a workbook. I will keep it with me from here on out and I will consult it weekly as a tool. John G. Miller is a great author. I reviewed QBQ! a little while back and this book is just as good. I know a lot of you are big fans of Dave Ramsey, well, Ramsey is a big fan of Miller and QBQ! is required learning within his organization. So maybe that will give you a little motivation to pick up this book too. If you have any questions on the book don't hesitate to ask. I would be more than happy to help anyone that wants it.